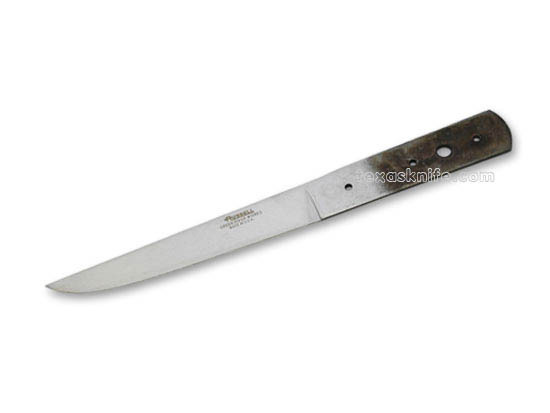 10-5/8" overall length, 6" long blade that is 1" wide and 3/32" thick. Three 5/32" diameter holes for pins?and rivets, and a large center hole for 1/4" pin. Fits sheath SHE19.